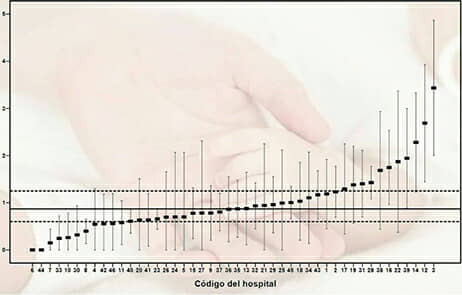 Projects linked to the safety of neonatal patients, seeking to monitor and reduce the incidence of nosocomial infection in very low birth weight premature infants (≤ 1,500 g) admitted to Spanish neonatal intensive care units. 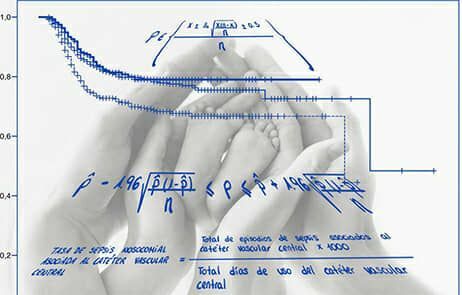 Assessment of the effectiveness of a surveillance system in reducing rates of nosocomial infection in very low birth weight infants. Assessment of an evidence-based intervention for reducing catheter-associated bloodstream infection in very low birth weight infants.